The nights are drawing in, Autumn is upon us, and yes, before you know it Christmas will be here! Why don't you get yourself totally organised with your gifts this year, and order well in advance. Right now we have a limited stock available of our super popular remote controlled gifts, that when you check them out you will see are ideal as gifts for him, gifts for her, and any age! These are not just for kids, nor are they just for grown ups! We are talking about our Wall Climbing Cars and our Flying Fish (Air Swimmers)! These flew off the shelves last year, and we sold out time and time again, so make sure you don't miss out this Xmas. Get your order in now, and we will despatch to you within 48 hours. 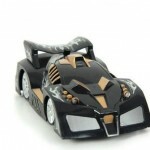 But you will have to hurry as this is a pre-Christmas promotion that we are doing on a small number of these gifts. The Wall Climbing Cars are selling at the ever popular price of just £14.99, and the Air Swimmers are at the silly, knockdown price of just £19.99. The cars come in black, blue and red, but due to demand and the low selling price we cannot guarantee that we can send you a specific colour. But they are all cool anyway! 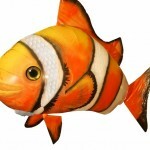 The Flying Fish are available as either a Clown Fish or a Shark. The thing to bear in mind with these is when the are not inflated they don't take up much room at all, but when you have them fully inflated and are flying them around your house…they are huge! So they make a really impressive gift for anyone.